Freedom awaits you with the Serenity Class B+ diesel motorhome by Leisure Travel Vans. The aerodynamic exterior boosts fuel economy and lessens wind noise for a comfortable ride anywhere you want to go. Enjoy the strength and durability the Mercedes-Benz Sprinter chassis gives you to make those little spur of the moment travel decisions when you are out and about. With the Serenity there is no need to worry about reservations or local restaurants because you will always have a place to eat and sleep anywhere you go. You'll find plenty of storage so that you can keep travel necessities tucked away for those unexpected journeys. Indulge your adventurous spirit and your freedom to travel with this Serenity Class B+ diesel motorhome by Leisure Travel Vans! Leisure Travel Vans has over 50 years of history in the RV industry and is committed to customer service: before, during and after each purchase. 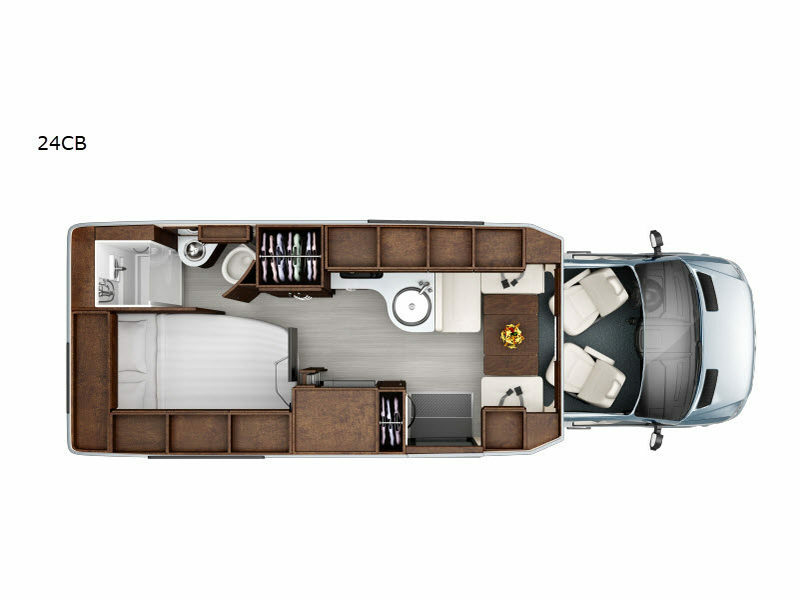 It is one of the first North American RV manufacturer to produce a Class B motorhome on the Sprinter Chassis, produce a fiberglass moulded wide body (the Serenity), and the first to produce a Murphy bed in a B+. Now that says innovation, and that is what makes them the Class B leader! With a dedicated and loyal staff that is proud to provide only quality components that will meet or exceed their customers expectations. They are driven for excellence and committed to going beyond the norm to bring you the best Class B for years of travel enjoyment.